Mike Brooks was born in Ipswich, Suffolk and moved to Nottingham when he was 18 to go to university. He’s stayed there ever since, and now lives with his wife, cats, snakes, and a collection of tropical fish. He is the author of the Keiko novels, sci-fi adventures that follow the escapades of those crewing the spaceship of the same name: DARK RUN and DARK SKY are out in the UK and US, while DARK DEEDS is out in the US but can be purchased in the rest of the world via the magic of the internet. 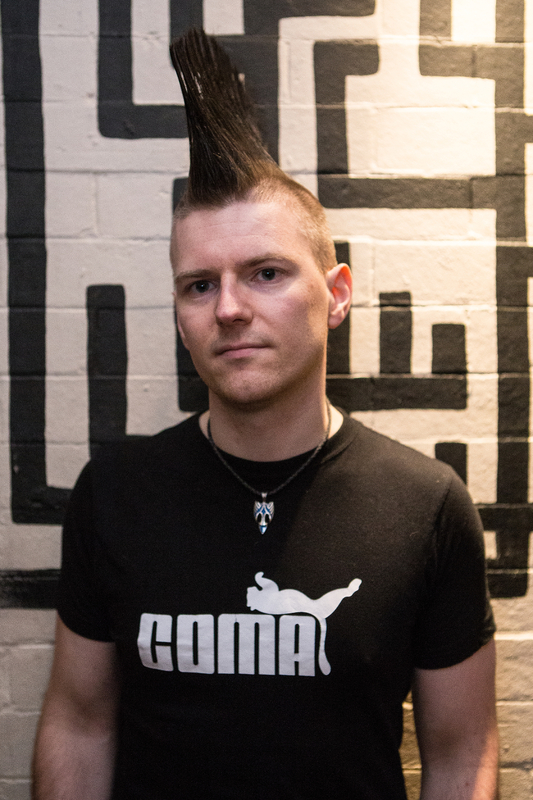 Mike has recently started freelancing for Games Workshop’s Black Library. His first short story, THE PATH UNCLEAR is available from the Black Library website, and his short story A COMMON GROUND will appear in Issue 1 of the relaunched Inferno! magazine in September 2018. His Necromunda novella WANTED: DEAD will be released later in 2018. When not writing he works for a homelessness charity, plays guitar and sings in a punk band, watches football (soccer), MMA and nature/science documentaries, goes walking in the Peak District or other areas of splendid scenery, and DJs wherever anyone will tolerate him. Mike is bisexual / bi+ / whatever equivalent terminology you want to use that doesn’t imply a refusal to acknowledge the validity of trans people, and is disabled (partially deaf. No, this happened naturally, and a long time before the punk band).